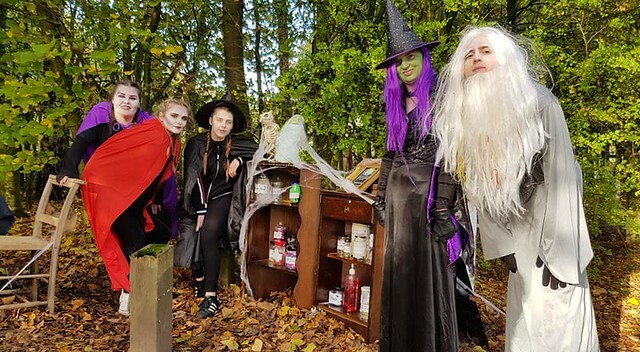 Things took a ‘SPOOKTACULAR’ turn on Saturday 27th October in Sherdley Park when students from University Centre St Helens took part in The Roy Castle Lung Foundation’s annual Spooky Welly Walk event. The students who are studying a Foundation Degree in Theatre and Performance performed their Halloween themed plays throughout the day to the general public, as well as posing for pictures with the children who attended. The plays were such a success that the department have been invited back to perform at next year's event.